We have added @Open Window in South Africa to the list of schools we support with free Kerika Accounts. Sign up with an openwindow.co.za email and you will automatically qualify. 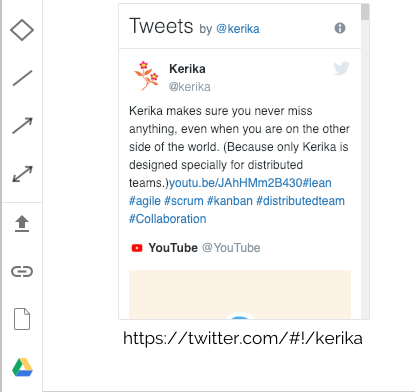 Here’s a feature that we suspect most people probably don’t know about: you can embed a live Twitter feed on any Kerika Whiteboard. 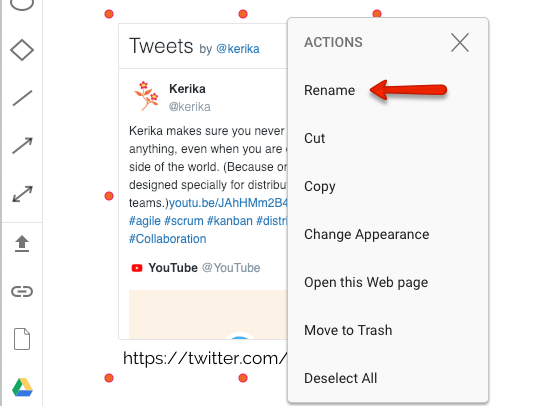 You can reference Twitter feeds with a simple “@” symbol: you can add Kerika’s Twitter feed just by typing in “@Kerika”. An updated tutorial video shows you how you will always know what changed on all your Kerika boards, even when you are working on the other side of the world. We are still working with Google on fixing the problem with the G Suite Marketplace that caused the Kerika product listing to disappear unexpectedly about 2 weeks ago. Progress was slow over the holiday season because many Googlers were out of office, but folks are back in town and working with us on debugging the problem — which, as far as we can tell, is entirely on Google’s end and has to do with their back-end systems for managing listings on the G Suite Marketplace. Some of our users have dozens of boards in active use at the same time, with large (and sometimes overlapping) teams, and as a result their Views counts are nearly always high. The number of items that match that are assigned to you. This makes it easier to see if you need to go back to a View to catch up on something that’s directly related to you, i.e. is assigned to you. Another day, another updated tutorial video… This one is on exporting data from your Kerika Task Boards and Scrum Boards. And yet another tutorial video, part of our ongoing effort to create a bunch of learning materials for new users! This one is about getting a lot done, which means using Kerika for large scale projects. 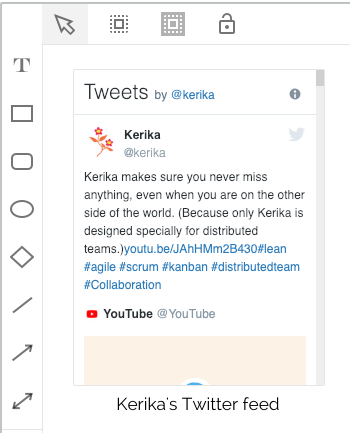 Kerika’s Highlights feature help you zoom in on what really matters, even when you are working on a Task Board or Scrum Board board with hundreds of cards. And Kerika’s Views feature helps you stay on top of things no matter how many projects you have underway at any time.